Some health plans have been issuing physician practices consumer credit cards or virtual credit cards as payment for their services instead of depositing funds directly to bank accounts. According to the AMA, this relatively new trend can cut physician pay by as much as 5 percent after transaction fees. Review and evaluate payer contracts to determine whether your practice is required to accept credit cards as a method of payment. Understand merchant card agreements and associated fees if your practice decides to accept credit cards. 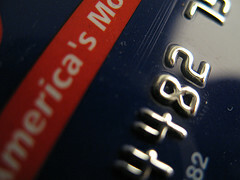 You also may want to ask if payers are using credit card reward programs that give cash back. This entry was posted on Thursday, July 10th, 2014 at 11:51 am	and is filed under practice management. You can follow any responses to this entry through the RSS 2.0 feed. Both comments and pings are currently closed.